Seeking advice from friends, colleagues, and family is an excellent first step when you’re prepping to buy a home. But it can get tricky when you get more information than you can handle. If you really want to get to know your potential next home and neighborhood well enough before moving in, make repeat visits. Drop by on a morning and again on an evening. Try visiting on a weekend and then check back during the middle of the week. If it’s possible, drive around the neighborhood in different types of weather. Seeing the house and its neighborhood in different conditions will help you anticipate the lifestyle there. Before making an offer, check if there is any planned development in your area. Upcoming construction can ruin what may seem like a great home today. New buildings and area attractions can cause traffic, add noise, or block an appealing view. On a more positive note, new construction can bring additional amenities that improve the local lifestyle. They may even be a sign that your neighborhood is becoming more desirable. This can boost your home’s resale value in the long run. If you need a mortgage to finance your purchase, choose one with terms that fit both your current and long-term financial projections. The standard 30-year fixed rate mortgage may work well for many home buyers. However, you can choose a shorter option if you can pay off a loan sooner. Choosing a 15-year mortgage, for example, can save you thousands of dollars in interest over the duration of your mortgage. A common pitfall that home buyers encounter is focusing too much on a mortgage and forgetting about maintenance costs as a result. For starters, set aside about 1% to 4% of the purchase price for regular maintenance needs, as well as for unforeseen repairs. If you are buying a pre-owned home, ask the seller what they pay to get a better estimate. Be sure to get small, regular maintenance tasks done on your home. Failing to do so can lead to more significant damage over the long term, thus costing you more. Might seem harmless enough, but There is a risk involved with bringing young children along while viewing your options. They might fall in love with a home that may not be the best choice for your overall needs. While the final decision is still yours to make, your kids’ influence might make it hard to stay objective. 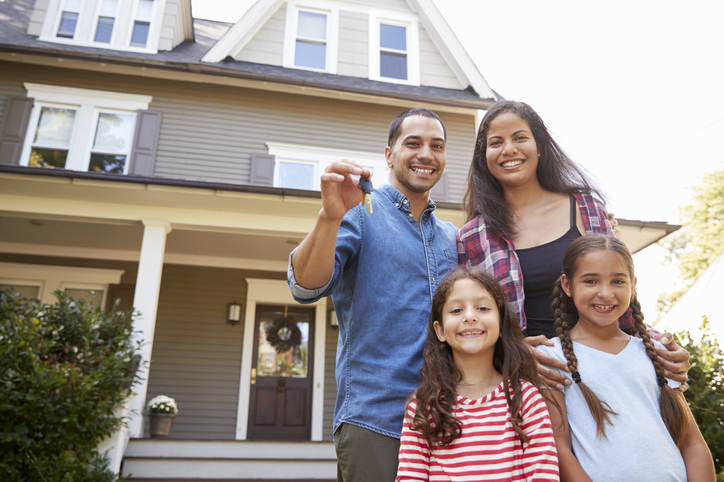 We recommend involving your children in the home buying process only when you have narrowed down your search to the best option that you want to buy. This will still give them enough opportunity to share what they think, making it easier for them to settle into their new space. Need help in finding your dream home? Contact the SET Real Estate Group. Call us at 404-348-2373 or email info(at)setrealestategroup(dotted)com.